Price includes packaging for transport; shipping is not included and is determined based on destination. ​A fantastic accompaniment to your portable studio, the Marver / Knock-off Table is just the right size for the small studio or onsite workshops and demonstrations. Quickly disassembles for efficient transport/storage. 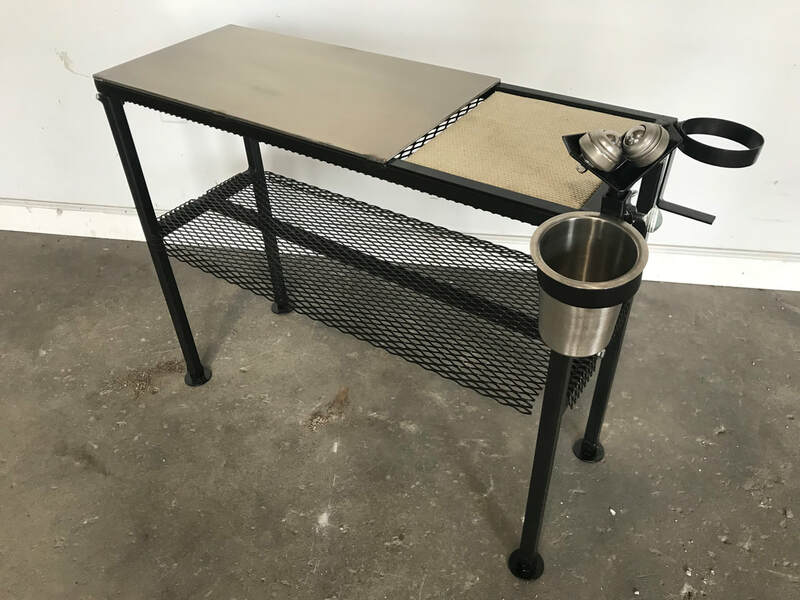 Features a 12” x 24” (30.5 x 61 cm) stainless steel marver & 10" x 10” (25 x 25 cm) Kevlar covered wood surface (for use as a knock off area). Four adjustable leveling feet come standard. Includes Stainless Steel Yoke & water can and holder for mapp gas torch. Table is 12” wide x 35” long, x 28” high (31 x 89 x 71 cm).